The Mumbai terrorist attacks, the worst suffered by India, have drawn attention to, once again, the growing menace of terrorism against state and society in South Asia. The magnitude of this attack was far greater than the suicide attack on the Marriott in Islamabad on September 20. These attacks have shaken India just like the Marriott blast jolted Pakistan, and have spread insecurity throughout India. They have also embarrassed the Indian government for the security lapses that made it possible for a group of terrorists to launch such a coordinated attack. India-Pakistan Cooperation in Mumbai Investigations? ISLAMABAD, Pakistan (AP) — Pakistan demanded evidence Saturday for Indian charges it was involved in the Mumbai attacks and reversed its decision to send its spy chief to aid the probe, muddying efforts to avert a crisis between the nuclear-armed neighbors. Deep mistrust between the South Asian rivals, who have already fought three wars, endangers efforts by the U.S. and its Western allies to battle al-Qaida and Taliban, thought to be hiding out along Pakistan's western border with Afghanistan. Rising tensions on Saturday prompted Pakistani security officials to warn that the government would pull its troops from the antiterror fight along the Afghan border in order to respond to any Indian mobilization. ISLAMABAD, Pakistan — India on Friday charged that militants with links to Pakistan were involved in the terrorist attack on major tourist sites in Mumbai, in which more than 160 civilians died. 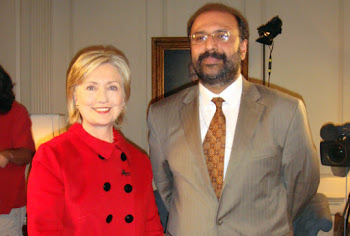 Pakistan denied the allegations but agreed to send an intelligence official to discuss them. The rapidly rising tensions could scuttle a tentative peace process between the two nuclear-armed countries and even lead to a military confrontation, and some experts said they thought this might've been the aim of the terror operation. "Preliminary reports point towards Karachi," Indian Prime Minister Manmohan Singh told his Pakistani counterpart, Yousaf Raza Gilani, Gilani's office said in a statement. Heavily armed, hooded gunmen have killed more than 100 people and wounded more than 300 in Mumbai in coordinated attacks against two five-star hotels, the city’s largest train station, a movie theater, a hospital, and a Jewish center. Indian Prime Minister Manmohan Singh said in a televised address that the attackers had “external linkages,” an indication that Pakistan and perhaps al-Qaeda, too, would be blamed for the attack. It is clearly possible that the terror rampage had its origins outside India, aimed as they were at international rather than Hindu targets. But in a least one sense it doesn’t matter. For the attacks will aggravate a growing fault line between Hindus and Muslims within India itself. 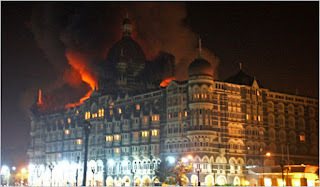 Mumbai Terror Attacks - Who is behind it? Mumbai terror attacks: Who could be behind them? Some six hours after the attack on Mumbai began on Wednesday night, Indian media organisations received an e-mail from an unknown group calling itself the Deccan Mujahideen claiming responsibility for the deadly, well-planned operation. "We want to warn the Indian government that they must stop the injustice against the Muslim community," the email warned. Security experts however remained sceptical about the existence of the Deccan Mujahideen. Such emails have been issued in the past by other jihadi outfits that have attacked Indian cities. What was unusual this time was the fact that the message was written in Hindi, and not, as on all previous occasions, in English. Bi ismi Allahi al rahman al rahim. Every Muslim, at the beginning of whatever one does or intends to do, asks for the blessing of God by invoking His name in this way. One might call this the Islamic invocation of the trinity. God, the Father is the essence of power, God the Son is the essence of mercy, and God the Holy Spirit is the essence of wisdom. Like Meister Eckhart, who succeeded St. Thomas Aquinas in the chair of theology at the University of Paris, we understand this as honoring the attributes of God Who is beyond number, beyond existence, and even Beyond Being. (CNN) -- In a brazen series of coordinated attacks, gunmen struck 10 sites Wednesday night across India's financial hub, killing scores of people and taking hostages in two luxury hotels frequented by Westerners, officials said. 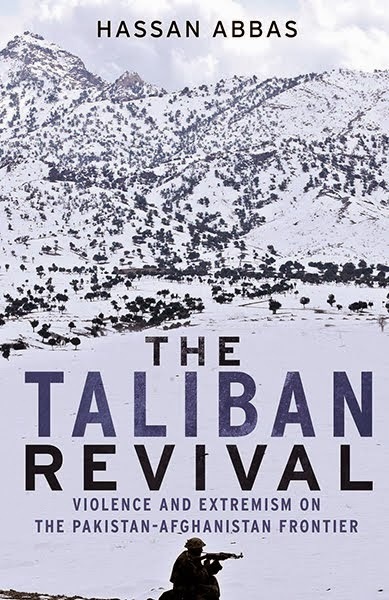 DIVERSE and usually contradictory approaches have been adopted by different actors, both national and international, in their response to the radicalisation, isolation and Talibanisation that is taking place in the Pashtun belt. There are some who believe that Pashtun culture is inherently militant, violent and aggressive and that Talibanisation and radicalisation in the region is the expression of Pashtun nationalist sentiment. This approach assumes that all Pashtuns have a Taliban mindset ideologically and that the Taliban are a violent bunch of Al Qaeda-affiliated terrorists who need to be carpet-bombed without any consideration for the lives of the millions affected by this kind of attack. Last week, at the Wilson Centre, the Hydra of Pakistan’s crises reared a fourth ugly head, one that, I think, not enough of us are thinking about. It is Pakistan’s water crisis, the forgotten crisis that, in the long run, could prove as fatal to the state as the three we think about all the time. This was laid out in 8 excellent presentations during a one-day conference that kept the audience there and listening intently until the end. It is a singular honour to be awarded the Harvard Law School Association's Medal of Freedom on behalf of 170 million Pakistanis who continue to stand for rule of law, independence of the judiciary, equality, freedom and justice for all. This the 19 th day of November , and I stand 10,816 km from my hometown. I stand in one of this planet's largest reservoirs of law: America's oldest law school. And I stand here as a humble representative of all those Pakistanis who continue to defy autocracy, repression and oppression in all their forms. Pakistan's Ex-Army Officers' Group Recommends Pakistan to Cut off NATO Supply Lines: How popular is this line of thinking? RAWALPINDI: Pakistan Ex-Servicemen Society has demanded of the government to cut supply line of NATO and US forces based in Afghanistan and to raise the issue of violation of Pakistani territory by US drones on the platform of the United Nations. Addressing a joint press conference here on Monday after a meeting of Pakistan Ex-Servicemen Society, former DG ISI General (retd) Asad Durrani and Admiral (retd) Fasih Bukhari have underlined that Pakistan is providing 90 percent logistic support to NATO Forces and it can be stopped. The meeting of Pakistan Ex-Servicemen Society was attended by former DG ISI General (retd) Hameed Gul, General (retd) Saleem Haider, former Governor Gul Aurangziab, Brig (retd) Khalid Usman, Brig (retd) Khadim Hussain, Brig (retd) Slam Akhtar, Major (retd) Islam-ul-Haq, Captain (retd) Dr. Babar Zaheer-ud-Deen. ISLAMABAD, Pakistan — A redrawn map of South Asia has been making the rounds among Pakistani elites. It shows their country truncated, reduced to an elongated sliver of land with the big bulk of India to the east, and an enlarged Afghanistan to the west. That the map was first circulated as a theoretical exercise in some American neoconservative circles matters little here. It has fueled a belief among Pakistanis, including members of the armed forces, that what the United States really wants is the breakup of Pakistan, the only Muslim country with nuclear arms. On Thursday night I sat at the World Performing Arts Festival along with thousands of others, mesmerised. Abida Parveen had just finished singing. It was past 1 am. And yet we continued to sit in the biting cold, smiling, warmed by the afterglow of her rousing performance. This was the Pakistan I so loved — vibrant, diverse and defiantly alive. This was the Pakistan that made me proud, the one that I was always trying to share with my non-Pakistani friends. Kabul 30 Years Ago, and Kabul Today. Have We Learned Nothing? 'Terrorists' were in Soviet sights; now they are in the Americans'. I sit on the rooftop of the old Central Hotel - pharaonic-decorated elevator, unspeakable apple juice, sublime green tea, and armed Tajik guards at the front door - and look out across the smoky red of the Kabul evening. The Bala Hissar fort glows in the dusk, massive portals, the great keep to which the British army should have moved its men in 1841. Instead, they felt the king should live there and humbly built a cantonment on the undefended plain, thus leading to a "signal catastrophe". Among the many challenges that will greet President-elect Obama when he takes office, there are few, if any, more urgent and complex than the question of Iran. There are also few issues more clouded by myths and misconceptions. In this Joint Experts' Statement on Iran, a group of top scholars, experts and diplomats - with years of experience studying and dealing with Iran - have come together to clear away some of the myths that have driven the failed policies of the past and to outline a factually-grounded, five-step strategy for dealing successfully with Iran in the future. ISLAMABAD, Pakistan: Barack Obama's most difficult international test in the next year will very likely be here in Pakistan. A country with 170 million people and up to 60 nuclear weapons may be collapsing. Reporting in Pakistan is scarier than it has ever been. The major city of Peshawar is now controlled in part by the Taliban, and this month alone in the area an American aid worker was shot dead, an Iranian diplomat kidnapped, a Japanese journalist shot and American humvees stolen from a NATO convoy to Afghanistan. This was the statement of the artists, the organisers and the people at the World Performing Arts Festival at the Alhamra Cultural Complex here on Sunday evening. This message was conveyed at a special candlelight vigil held to express the sentiments of the artists and the participants of the festival in a collective response to the perpetrators of Saturday night’s bomb blasts. In the message, the artists said: “We have been here from all over the world to receive the love and warmth of the people of Lahore for the last 10 days. It has been wonderful. There is no doubt about the fact that art connects people in a way that nothing else does. NEW DELHI, Nov 22: President Asif Ali Zardari dispatched Indian strategists scurrying to the boardrooms as he announced a new no first use nuclear weapons policy on Saturday, overturning years of Pakistan’s deterrence doctrine. Mr Zardari, who addressed a videoconference with invited guests hosted annually by The Hindustan Times, made interesting conciliatory gestures towards India and won applause in Srinagar from the All Parties Hurriyat Conference (APHC), which thought his remarks on the way ahead for Kashmir were pregnant with possibilities. There were tense moments at the start of his address when the camera ambled on him without a sound link. LAHORE: A high-level probe ordered by the Pakistani authorities into the 2007 dramatic escape of the British terror plot suspect Rashid Rauf from police custody had concluded that he had fled with the collusion of the police and some Jaish-e-Mohammad-linked militants while he was being transported to the Adiala Jail, Rawalpindi after a court appearance.